The riding season in the northern climes begins in the spring. However, in the mid-Atlantic region, it officially starts with events. Events like The Gathering of the Nortons. This is no small gathering of a few Norton devotees. 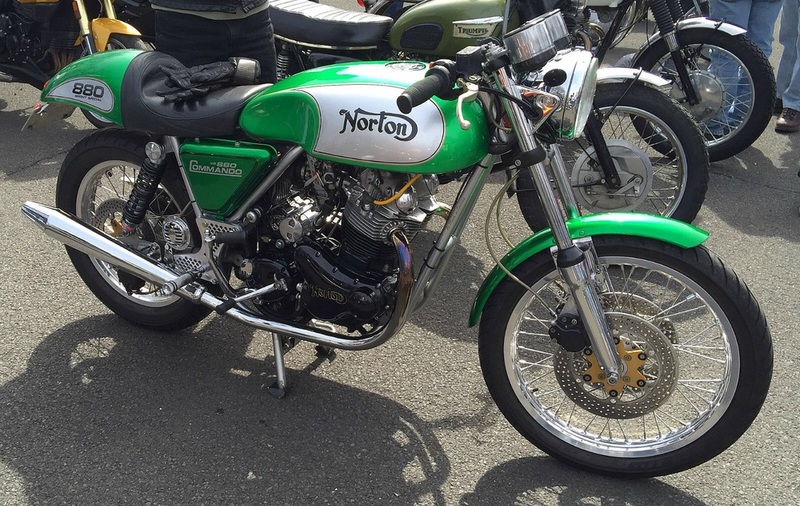 It is an event covered here before (see Gathering 2012 or Gathering of the Clans) that routinely draws over 70 Nortons and 900 bikes overall, and which is well managed by the Delaware Valley Norton Riders. Vintage bikes enjoy a reserved field. It is several hundred wildly varied machines from all kinds of Marques. A neck-swiveling vintage sensory overload. This year brought excellent weather and afforded a fantastic ride along the Delaware river. The Norton liked the empty if winter-ravaged river road. The event is always a chance to reconnect with friends not seen since before the tundra froze over. It is also a coming out party for many a winter project. A maiden voyage for any number of garage projects. Some of the results are spectacular. Others are just pleased to make it to the event. All contributed not just to one of the first vintage events of the year, but one of the best.